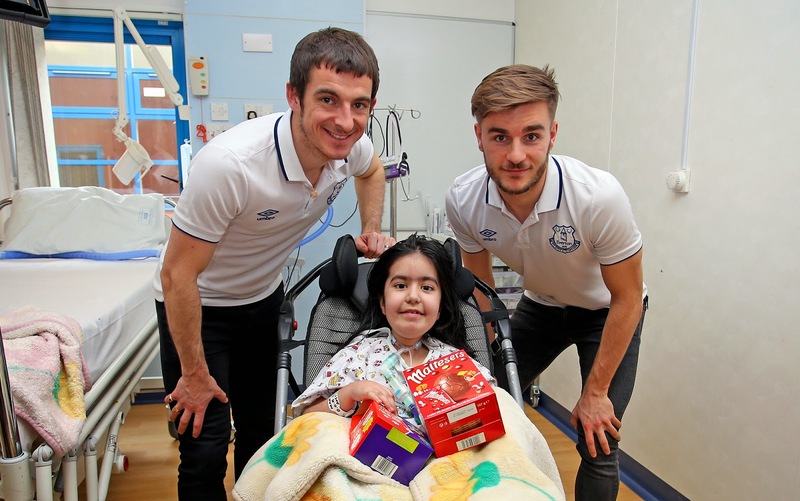 Last week, Leighton Baines and Luke Garbutt brought smiles to the faces of children at Alder Hey hospital when they dropped by to deliver some early Easter cheer. The left-backs paid a surprise visit to the wards of the West Derby hospital to meet the young patients and their families, and to hand out dozens of chocolate eggs! The Blues duo were only too pleased to take time out after training on Wednesday to lift the spirits of those currently being treated at Alder Hey. Baines commented: “Us visiting with chocolate eggs can feel pretty insignificant in comparison to what the kids are going through, what they’re in here for and the period of time they’ve been here, but then you speak to some of the parents; they really appreciate you just coming in and breaking the day up. “Some of the kids I recognised from when we visited at Christmas and they haven’t been home since, so every day is the same and it’s really tough for them. Alder Hey Children’s Charity has launched a £30 million appeal to raise much needed funds that will be spent directly on initiatives in the hospital to benefit patients. In September 2015, Alder Hey will open a new hospital next door to its current site, and the charitable appeal allows the hospital to incorporate a higher specification of equipment, fund art and play activities and support research. In short, it will transform a national children’s hospital into one of the best in the world. To support Alder Hey Children’s Charity, you can make a donation by calling 0333 222 3888. Alternatively, you can visit www.alderheycharity.com/donate, or drop by the Fundraising Office at Alder Hey hospital.